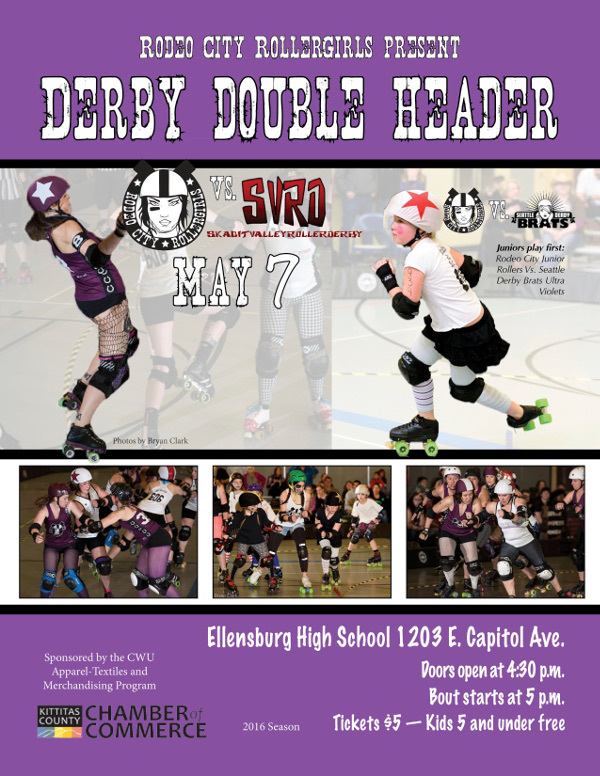 Make plans to come to our next home bout, it’s a double header, so two derby bouts(games) for the price of one! Plus, it’s our last one for this season! Our next bout is our annual Halloween bout in October. First up is our Rodeo City Junior Rollers VS Seattle Derby Brats Ultra Violets at 5pm, the second bout, which should start around 6:30pm is our Rodeo City Rollergirls VS Skagit Valley Roller Derby! Make plans to bring someone! Make plans to bring yourself and rock it solo! Make plans to come watch roller derby for the first time! Make plans to have some fun on a Saturday eve in the Burg! Tickets only $5 at the door or online here -> Get Tickets!